there has bought out their own version of a contour kit, my favourites have to be the powder and cream version from Anastasia Beverly Hills. Now there is a new trend in town and it promises to be a lot easier than contouring! 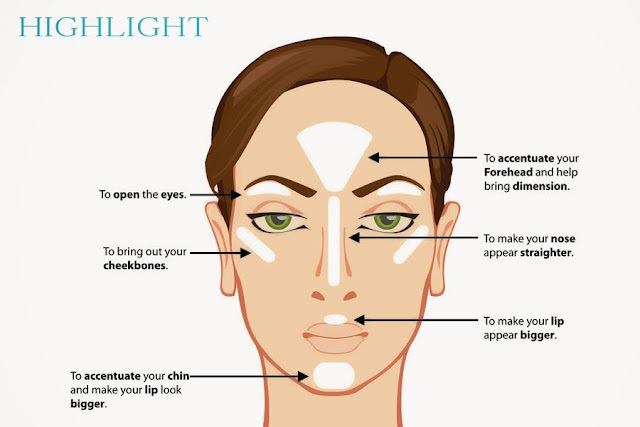 Strobing involves creating definition for your face simply by using highlighters where the light hits. 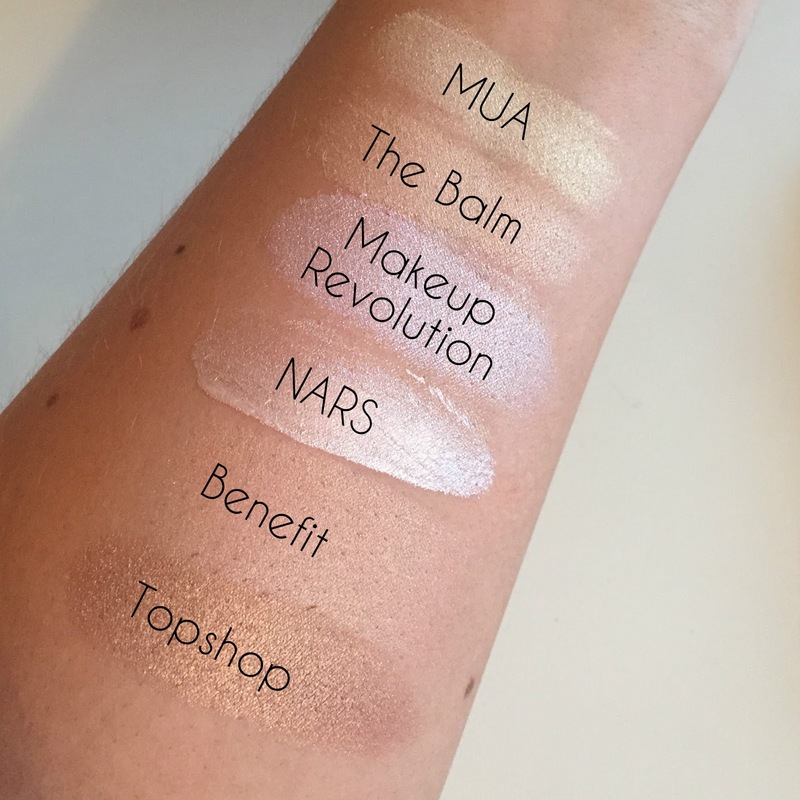 When choosing the shade of the highlighter i'll use it depends on how tanned I am and what sort of look I want to go for. To avoid looking too over done and like you've fallen into a pot of glitter then pick a shade that best matches your skin tone. My favourite products to use when I'm highlighting is the NARS illuminator in Copacabana, it's a gorgeous pink shade which adds a lovely shimmer, this is one i'll use when I'm going for a more glam look. 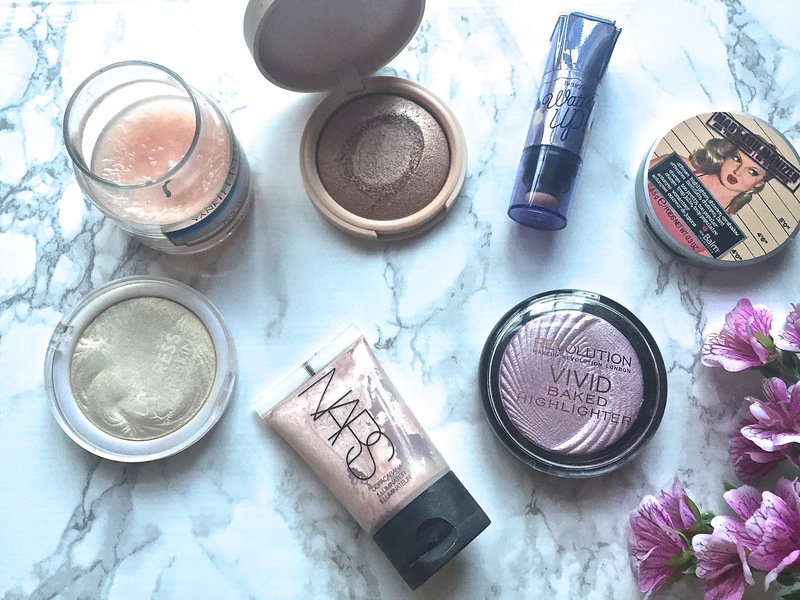 For more of a daytime look i'll use a powder highlighter in champagnes or pinks, my favourite is The Balm Mary-Lou Manizer and MUA Gold Highlighting Powder or I recently started using the Makeup Revolution Vivid Baked Highlighter in this gorgeous pinky purple shade. If I want a more bronzed look I really love the Topshop Highlighter in Horizon and the Benefit Watts Up. Will you all trying out the new strobing trend? !